Huawei Mate 20 Lite – Your True Mate! Huawei gonna complete its famous Mate 20 series with its third variant Lite which is the lighter version in series of three. As usual, the third one is quite interesting smart-phone because just like the old time this phone has got some talent and new design too. 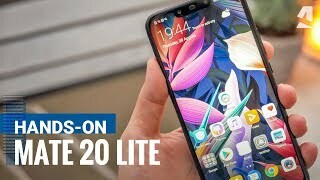 20 Lite is going to give a tough time to its major rival which is Samsung because this Chinese brand is already in lead in number game and now Huawei Mate 20 Lite is going to be the new target for its rivals which they are going to beat in this lifetime. One of those features is its mind-blowing Hisilicon Kirin 710 chipset and Mate 20 Lite by Huawei is going to bring octa-core processor with a clock speed of 2.2 GHz while the GPU is also upgraded and the new GPU is Mali-G51 MP4. Instead of A53 Cortex, Huawei Mate’s 20 Lite has got Cortex A73 which is also a big difference in specs and it is going to improve the performance of the device too.